IKA high performance HKD and HKS horizontal kneading machines are twin-bowl kneading machines with horizontally arranged kneading blades, able to process mixtures with very high viscosities. 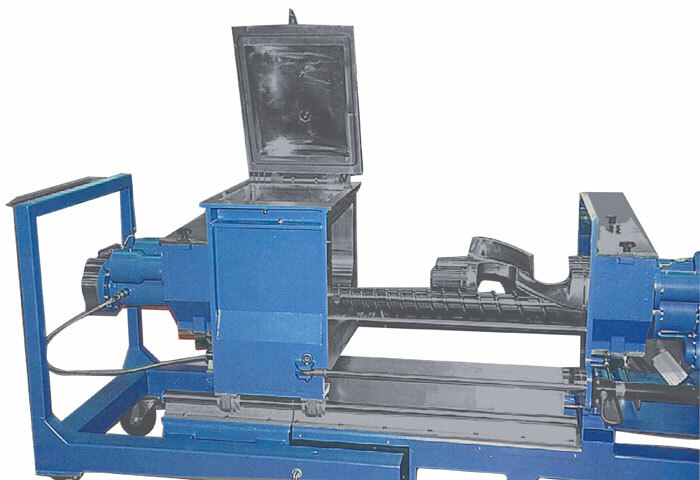 The distinctive feature of these kneading machines lies in their kneading elements, which enable them to be adapted to a broad spectrum of applications: from the production of low viscosity adhesives (hot melts) to extremely high viscosity rubber mixtures. The excellent kneading and dispersion achieved with the high performance HKD kneading machine is based on the principle of intermeshing DUPLEX kneading blades, which have a reciprocal stripping action. The speed ratio of the kneading blades is 2:1. This creates an alternating movement of the blade surfaces towards and away from one another. 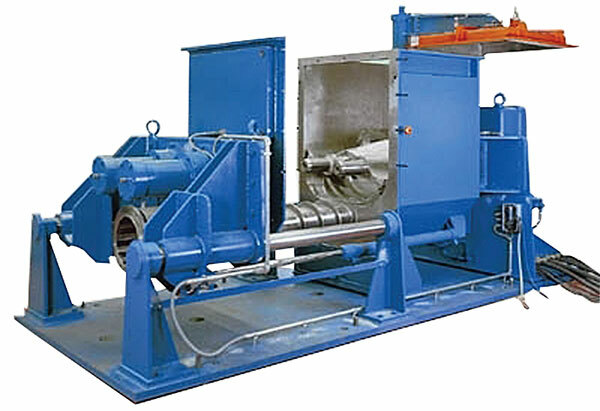 This produces high pressure and shear forces and thus a high level of friction in the product, resulting in intensive mixing and fine dispersion of the product. The HKS is a kneading machine with horizontally arranged, Z-shaped kneading blades. In the case of the HKS, the distance between the shafts of the kneading blades is greater than the external diameter of the blades. There is, therefore, no reciprocal stripping of the kneading blades. The kneading blades rotate in opposite directions, resulting in continuous movement of the product from the side walls of the kneading bowl to the center of the kneading bowl or the reverse, depending on the direction of rotation. The speed ratio of the kneading blades is 5:3. The different rotation speeds of the kneading blades rotating in opposite directions produce high pressure forces and thus result in intensive mixing. 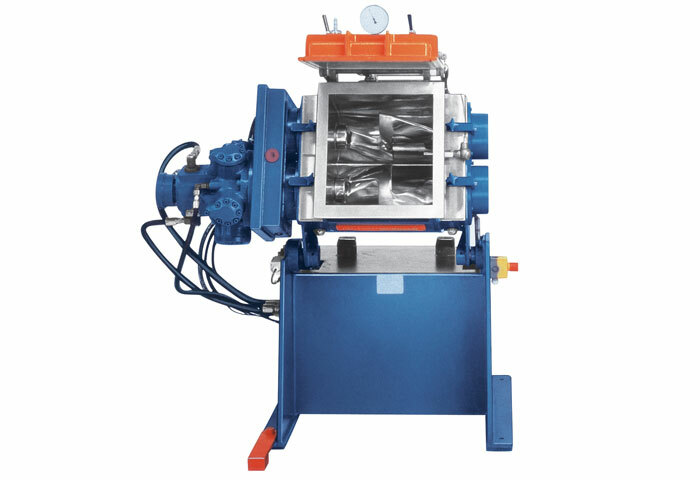 All machines in the HKS and HKD series have double-jacketed bowls for heating/cooling. 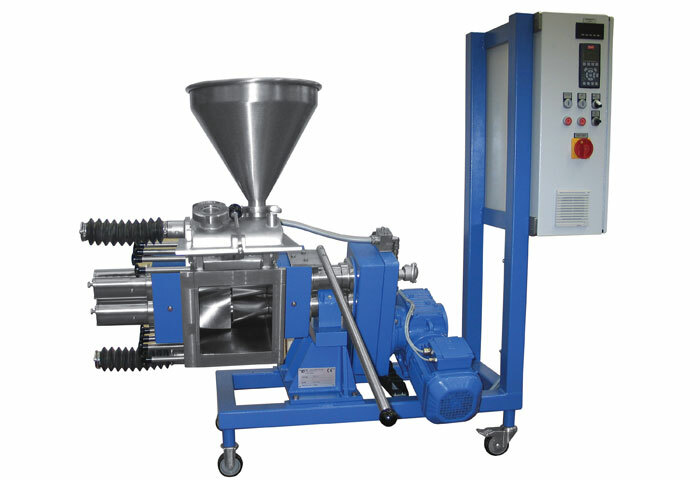 The product is discharged by tipping the kneading bowl or by means of a discharge screw. The machines in both series are driven directly by a geared motor. A frequency converter allows infinitely variable speed adjustment. 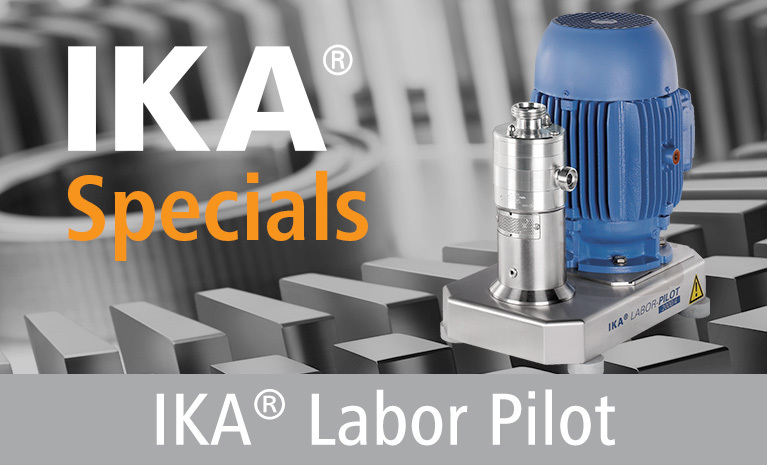 A particular feature of IKA horizontal kneading machines is the option to remove the complete side wall of the kneading bowl either hydraulically or manually on two turns of the bowl. This enables easy cleaning of the kneading blades and discharge screw in the case of a product change.